“After the Asylums”: A public discussion of mental health care in Britain, past and present. 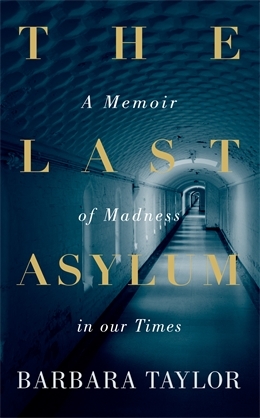 A launch event for The Last Asylum by Barbara Taylor (Penguin, 2014). 18 March 2014, 6.30pm-8.00pm, with a wine reception to follow. Peter Barham is a psychologist and a social historian of mental health. His books include Schizophrenia and Human Value (1995), Closing the Asylum (1997) and Forgotten Lunatics of the Great War (2004). He is a Fellow of the British Psychological Society. Peter Campbell is a mental health system survivor. He has been receiving mental health services for 45 years. He was a founder member of Survivors Speak Out (1986) and Survivors’ Poetry (1991). Since 1990 he has worked as a freelance trainer in the mental health field and has made many written contributions to books, journals and magazines. He has Honorary Doctorates in Education at Anglia Ruskin University and The Open University. Annette de la Cour is a mental health social worker and family therapist who worked in London mental health services for over two decades, including in the first community crisis intervention service based at Napsbury Hospital. She was a Mental Health Act Commissioner for many years and is currently an Associate Hospital Manager for her local mental health Trust. Antony Garelick, who trained at the Maudsley Hospital, is a Consultant Psychiatrist/Psychotherapist who worked for 25 years at Claybury Hospital in Essex, one of the largest therapeutic communities in the UK. He was the first Clinical Director at Claybury, and was heavily involved in its eventual closure and the reprovision of its services. He is now an Associate Dean of MedNet (London Deanery), a consultation service for doctors based at the Tavistock Clinic in London. Barbara Taylor is Professor of Humanities at Queen Mary UL and author of The Last Asylum (2014). Her previous books include Mary Wollstonecraft and the Feminist Imagination (2003), On Kindness (co-written with Adam Phillips, 2009), and History & Psyche (co-edited with Sally Alexander, 2012).